Recall, the car appeared at dealers seven months ago, for 2018, its sales index amounted to more than 33,000 copies. It is worth noting that Skoda Kamiq was ahead of the previous leaders in popularity - Skoda Kodiaq and Karoq. New model is comparable to the bestseller of the Russian market - Hyundai Creta. 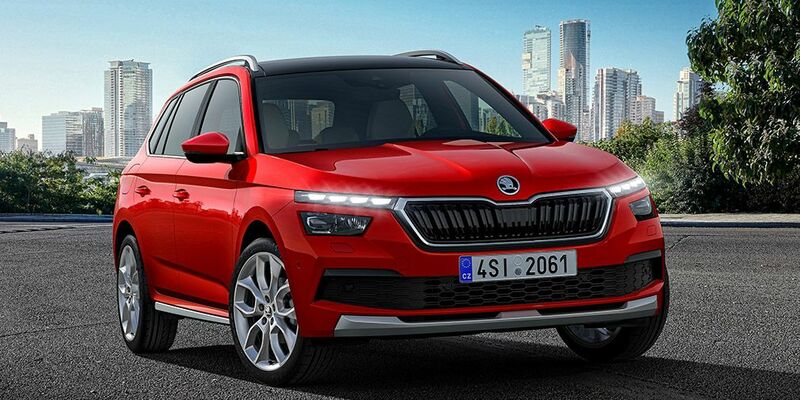 Today, the Skoda Kamiq is available with a single, 110-liter, 1.5-liter atmospheric engine, which can be combined with either a 5-speed manual transmission or a 6-speed automatic transmission. In this model has only front-wheel drive. In the market in the Middle Kingdom, the price of the most affordable version of the crossover starts at 1,000,000 rubles in terms of the current exchange rate. For the money, the buyer gets ABS, Multifunction, air conditioning, cloth interior, heated seats, rear parking sensors, and 16-inch wheels. In the top-end configuration, Kamiq receives an infotainment complex with a touchscreen display, an engine start button, an electronic parking brake, climate control, a rear-view camera, an electric sunroof, leather interior, as well as 18-inch alloy wheels.